Back in July we learned of Capcom’s plans to reboot its Strider series and, by golly, they’re intent on continuing. 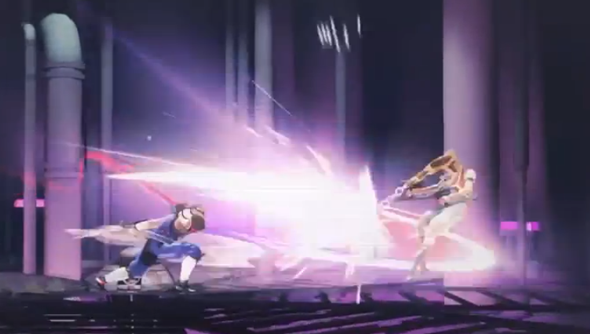 The latest trailer comes hot out of New York’s Comic Con event and it shows the titular main character Strider making short work of robots and other sorts of evilness. Also, a robot snake dragon thing. Did you see it? The robot snake dragon thing. It looks blooming massive. With any luck it’ll pass right on by and leave you to your own devices. Though, knowing game developers, you’ll probably have to take it into an arena and go four rounds with Mr Kipling, so to speak. It’s a small thing but I appreciate the team realise it’s not fun to go from strong to weak only having to then earn or your abilities back. Hopefully thinking like that goes throughout the game. Strider is due out in 2014.